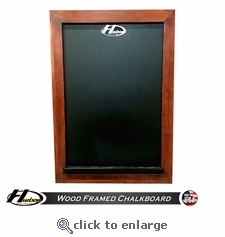 This wood framed chalkboard is perfect for keeping score for various games of shuffleboard. The scoreboard mounts directly to the wall. Including in the price is your choice of stain options for the wood frame as well as a box of chalk.